(unless circumstances dictate another date). 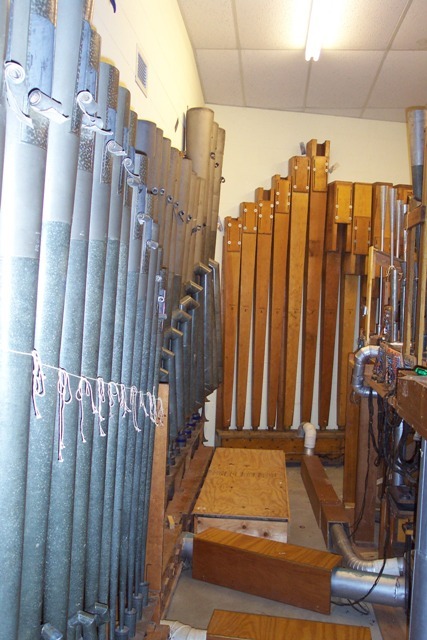 Here is a page devoted to the first home of our theatre organ! 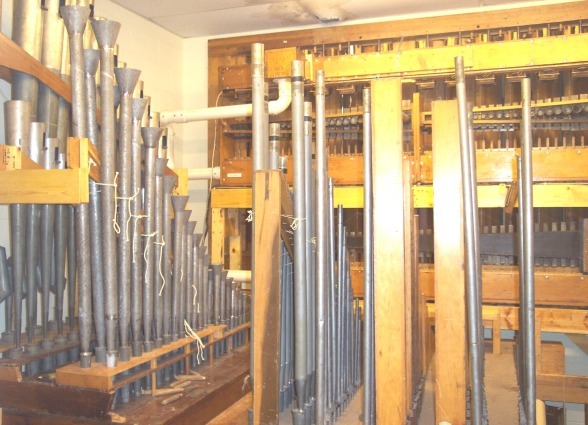 In 2007 Videographer James Plumlee of the Tulsa World made a nine-minute video tour of our organ. You can view it here. 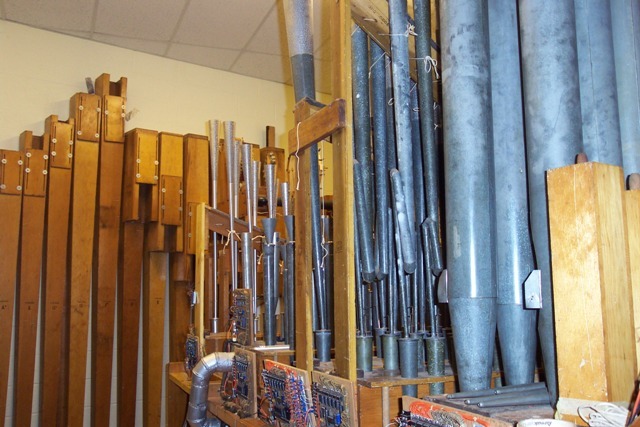 Click here to visit the national website for the American Theatre Organ Society. 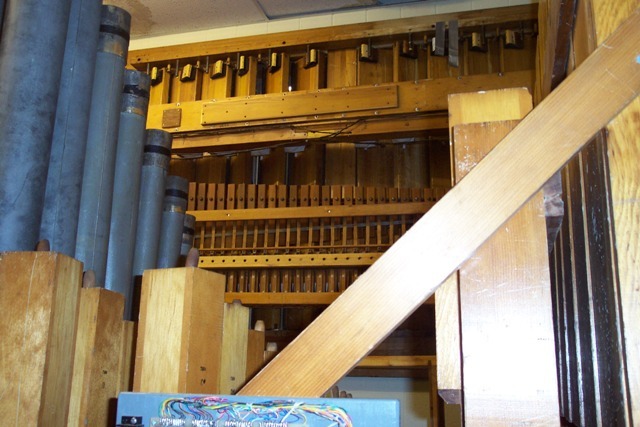 Our chapter owns a 1927 Robert-Morton 3-manual theatre pipe organ (see picture top of page) that we use for our programs. 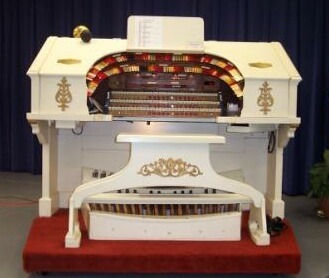 It was originally installed in the Capitol Theatre in Steubenville, Ohio, then by a circuitous route found its way to Tulsa, where we acquired it and got it installed in the new campus at TTC in the 1980s. 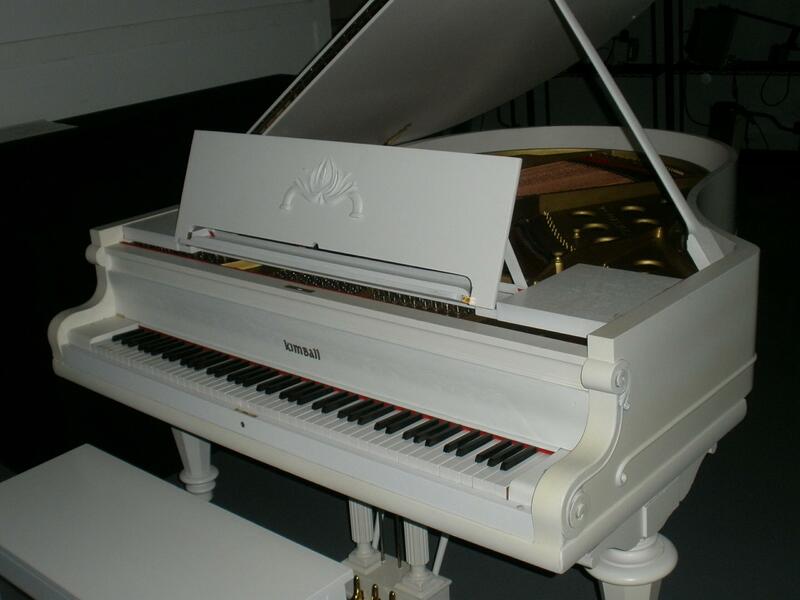 We also have a rebuilt 1903 Kimball grand piano, donated to us by Don and Dee Miller, that used to preside in the Mayo Hotel in downtown Tulsa. 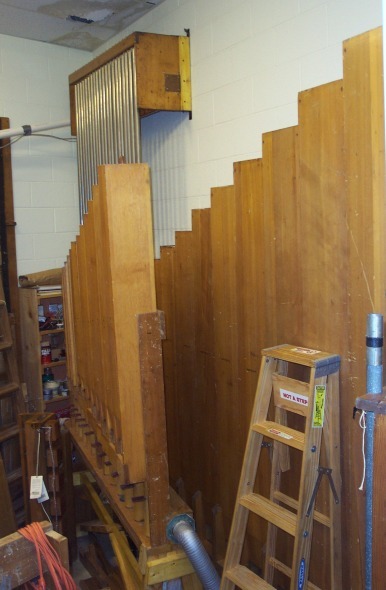 Our members have also restored the 1927 four manual, forty-five rank Kilgen pipe organ at the Performing Arts Center of Tulsa Central High School. At right is the Central High School console. 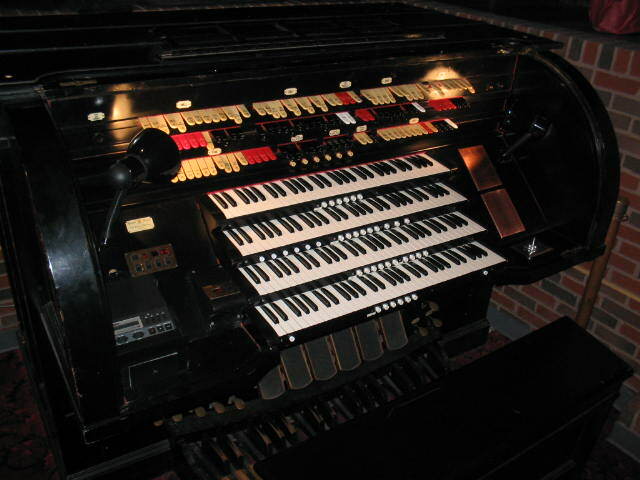 Our programs feature some artists from out of the Tulsa area as well as local organists and usually give time for "Open Console" where members and non-members alike can try out the organ. 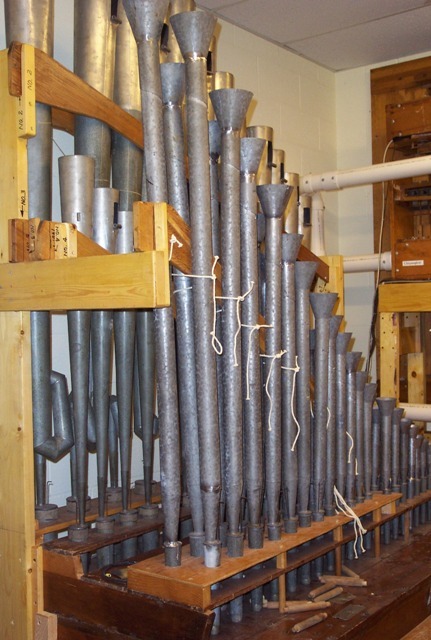 Please feel free to come and enjoy our programs, there is no admission charge but donations for organ maintenance and program expenses are appreciated! And, if you would like to subscribe our monthly e-mailed newsletter, the Windline just drop us an email at sscwindline@gmail.com. Or, you can Email us at SoonerStateATOS@gmail.com and we will be happy to add your email address to our monthly program reminder list if you request it as well. January's 'Second Saturday Silents' feature on the 12th, was "Ella Cinders" (1926) starring Colleen Moore. Later in January, due to continued remodeling at our TTC venue we had our January Silent Movie Night at the Circle Cinema on Monday the 21st, showing the 1925 full-length feature classic "Steamboat Bill, Jr."
February's 'Second Saturday Silents' featured "The Black Pirate" starring Douglas Fairbanks and filmed in 1925 in Technicolor. 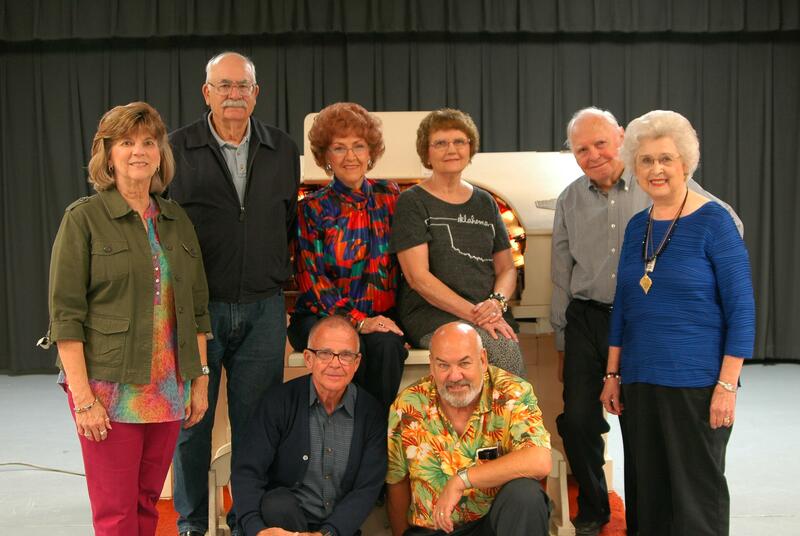 Also in February, our Sooner State Chapter had its Annual "Gospel Music Program" on the 18th at Eastside Christian Church in Tulsa, with inspiring Gospel music from our local organists and other musicians. March's "Second Saturday Silents" will be our annual Tom Mix Day at the Circle Cinema, with FREE ADMISSION!